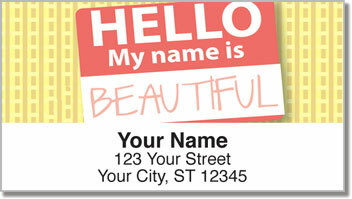 Stick some self-confidence on your mail and spread it around using these encouraging return address labels. We all need a little affirmation once in a while. These unique labels feature those familiar stickers we wear to let people know our names at big conventions, family reunions and the like. But there's a twist. 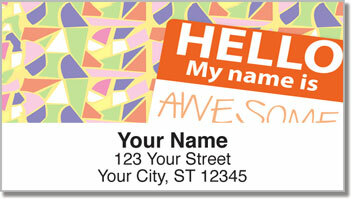 These name tags eliminate insecurity with some positive reinforcement. 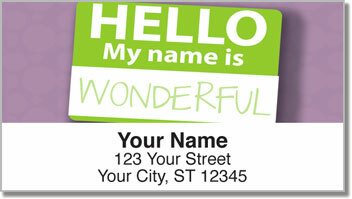 Name Tag Address Labels from CheckAdvantage will remind you and everyone on your mailing list how special you really are! Plus, they'll make the chore of preparing letters and packages super easy. Just peel and place your new self-adhesive labels and move on! 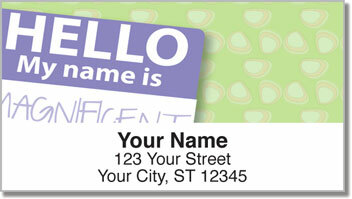 Make Name Tag Address Labels yours right now! Order them with matching personal checks!